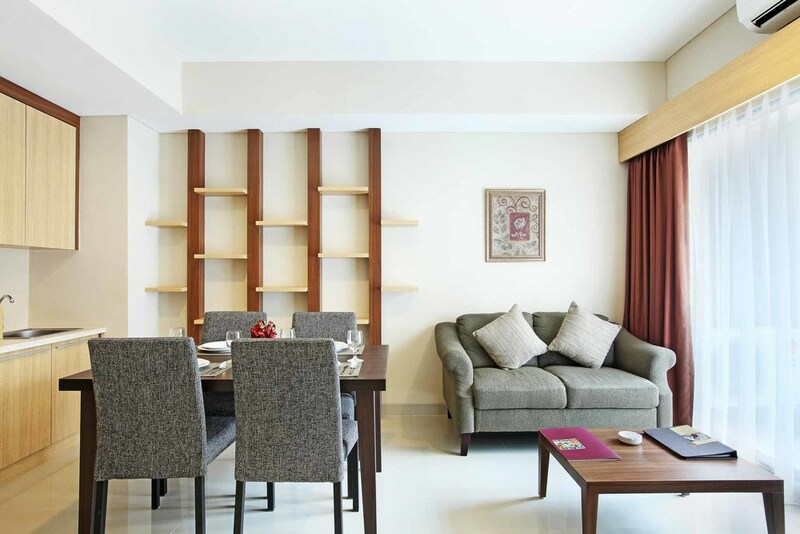 Targetting families, this three-bedroom Atria Hotel & Residence manages to utilize limited space to provide completely functional areas: a living room, a pantry, one master bedroom and two single bedrooms while maintaining a sense of comfort. Taking form of a straightforward and simple semi apartment, basic coloured furniture was chosen to complement the wooden cupboard, wall and panels. 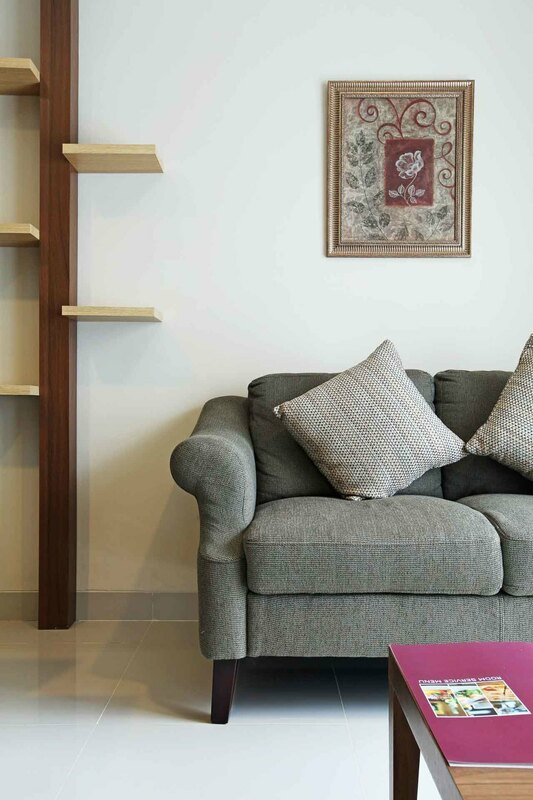 The backless stack shelf by the living room gives the space a contemporary touch while still being perfectly practical, and useful without overcrowding the area.